As a chorister at Westminster Cathedral during the 1980s, I was fortunate enough to be involved in a number of recordings of some of the most wonderful liturgical music in the repertoire. A particular highlight was Treasures of the Spanish Renaissance, released by Hyperion in 1985, which included a number of stunning masterpieces from the golden age of Spanish polyphony by three of its greatest masters: Francisco Guerrero, Alonso Lobo and Sebastián de Vivanco. Amongst the choristers, a particular favourite on that recording was Versa est in luctum by Lobo. It is an absolutely remarkable piece of polyphony, a setting of a responsory from the Office of the Dead: ‘My harp is turned to mourning and my music to the voice of those who weep. Spare me, Lord, for my days are as nothing.’ It was a text which seems to have had particular significance to Iberian composers at the time, and indeed the greatest of them all, Tomás Luis de Victoria, included a beautiful setting in his Requiem music for the Dowager Empress Maria who he served as Chaplain at the Monastery of Las Descalzas Reales in Madrid. 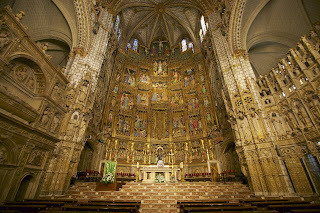 Lobo’s setting was written for the funeral of her brother, Philip II, and there is a definite sense that the composer saved something extra for this commission, attaining new heights of the greatest beauty, achieving something truly worthy of one of the greatest Catholic monarchs. 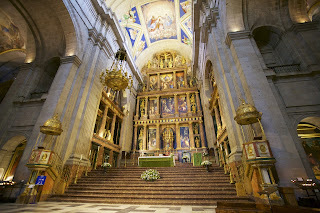 This Friday I will be travelling to Spain with my choir, the Schola Cantorum of the London Oratory School, and amongst the Masses and recitals planned, it will be especially wonderful to direct the boys in performances of the Lobo at two places of great significance: the first will be the magnificent Basilica at the Monastery of San Lorenzo at El Escorial. Philip II, for whose funeral it was written, lies in the Royal Mausoleum under the High Altar at El Escorial. He built the magnificent foundation, incorporating a monastery, basilica and palace, in thanksgiving for the Spanish victory at St Quentin in 1557. The battle took place on the Feast Day of St Laurence, 10 August, which is why El Escorial was built in a gridiron layout, in honour of St Laurence’s mode of martyrdom. The king had his own chambers carefully positioned so that he could see the Holy Sacrifice of the Mass from his bed to which he was confined towards the end of his life, through an internal window to the right of the altar. 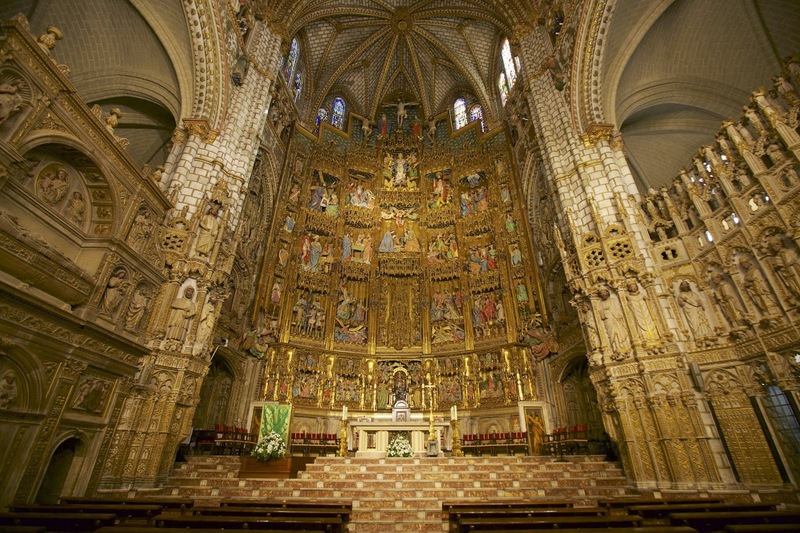 The second performance will be at the magnificent Cathedral in Toledo where Lobo served as Maestro de Capilla. The cathedral's stupendous reredos must be one of the finest in Christendom and simply has to be experienced. The boys will also be singing music by the Spanish composers Esquivel, Vivanco, Guerrero and Victoria, as well as music by English and Italian composers. You can read more details here, and you can follow their progress through Escorial, Madrid, Segovia, Toledo and Salamanca on Facebook and Twitter. Wish us luck and keep us in your prayers.